challah is pretty dang easy. challah is pretty dang gratifying. it is shiny and soft and faintly sweet. oh sweet challah, be mine forever and always. cuddle up next to me, you beautiful braidy boule, and spoon me all night. butter and honey, you guys are coming too. in a large bowl, dissolve yeast and 1 tbsp sugar in 1 3/4 cups lukewarm water. whisk oil into the yeast, then beat in 4 eggs, one at a time, with remaining sugar and salt. gradually add flour. 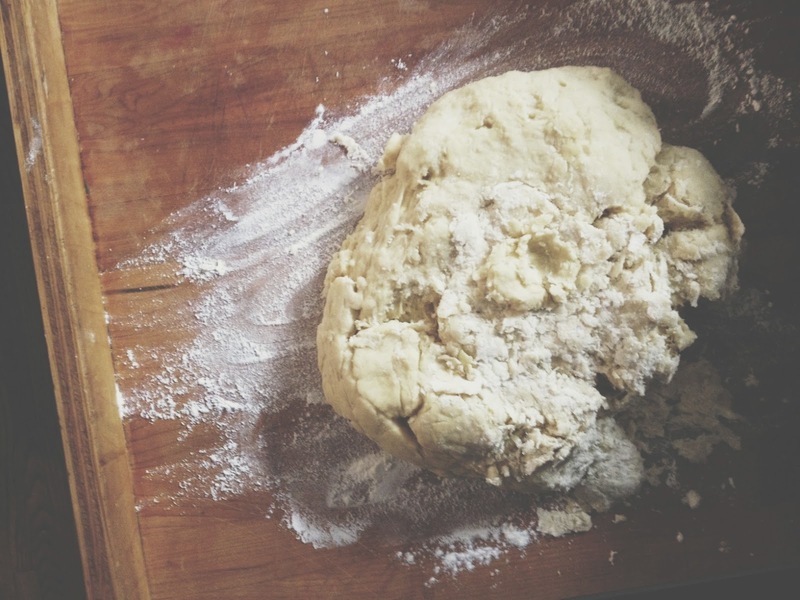 when the dough holds together, it's ready for kneading. 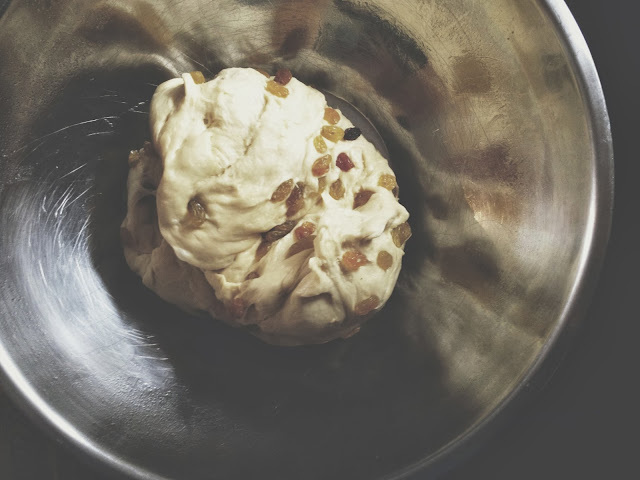 turn dough onto a floured surface and knead until smooth. clean out the big bowl and grease it, then return the dough to the bowl. cover with plastic wrap and let rise in a warm place for 1 hour, until almost doubled in size. you can warm your oven to 150 and then turn it off, and let the dough rise in there. after doubled, punch down dough, cover and let rise again in a warm place for another half-hour. at this point, you can start braiding the dough. it will make 2 larger loaves or 3 smaller ones. i simply divide each ball of dough into 3 equal pieces, roll each one out, pinch the ends together and braid. 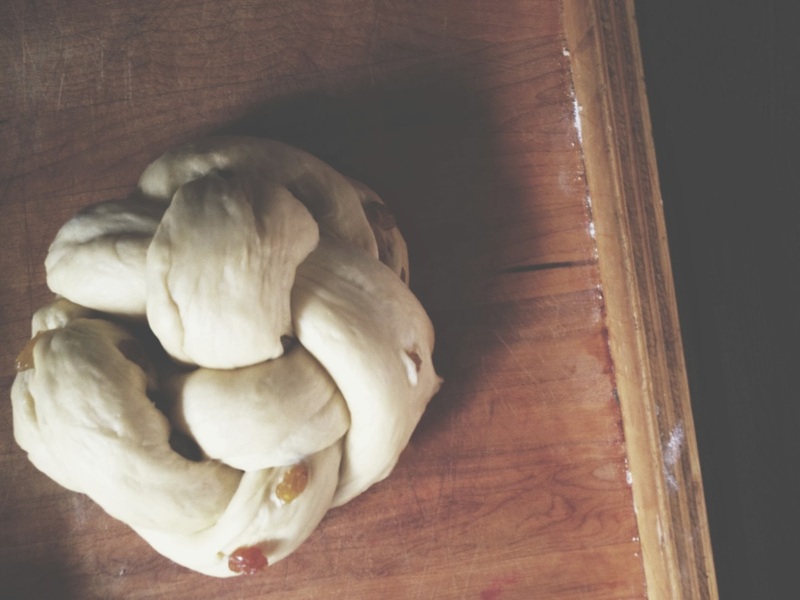 to make a round challah, just twist into a circle, pinching the ends together. make two or three loaves. place the braided loaves onto greased cookie sheets, with at least 2 inches in between them. beat remaining egg and brush it on loaves. at this point, you can either freeze breads or let rise another hour. if baking immediately, preheat the oven to 375 degreesF and brush loaves with second egg wash.
bake in the middle of the oven for 30 to 40 minutes, or until golden. cool loaves on a rack.